The Gator Case Pro-Series Molded 6U 19.25" Deep Rack Case (Black) is designed to hold 6U 19" rack mounted audio equipment gear. It is constructed from virtually indestructible, military grade, roto-molded polyethylene that is made from recycled materials. It has full-sized front and rear lids and recessed steel twist latches. 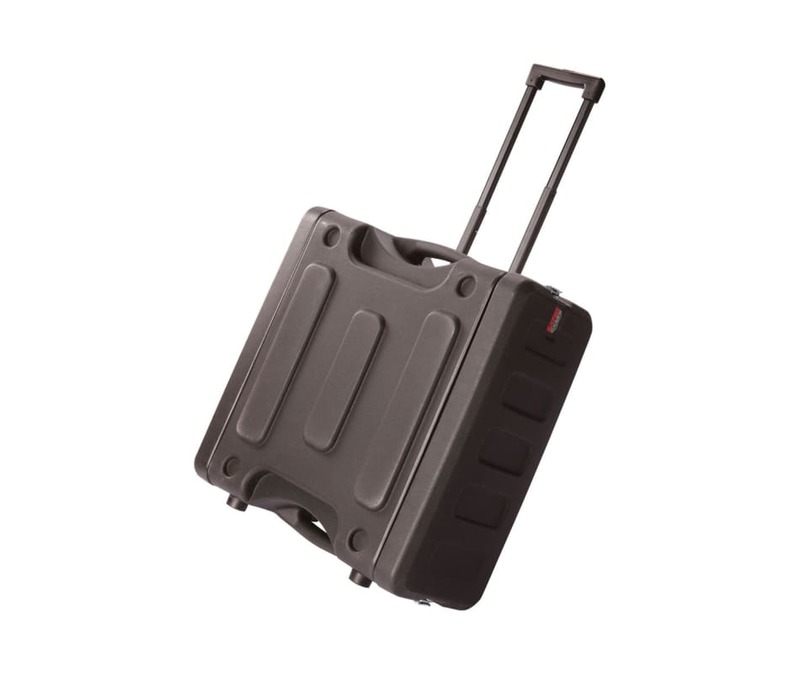 The case is transported by molded-in, ergonomic side carry handles, a telescoping tow handle or rugged roller blade style wheels.